During the course, students live in an old village school, in the middle of beautiful Finnish nature. Housing accommodations and meals are provided. Course Report is excited to offer an exclusive Web Dev Camp scholarship for €500 off tuition! Fill out the application below to submit this scholarship to Web Dev Camp. By submitting, you acknowledge that your information will be shared with Web Dev Camp. The program was very hands on as we learned to build an application right at the beginning of the course. I learned a lot in the course and it has given me great confidence to start my career in technology. I personally learn best with a teacher next to me hence I had a great time learning from a teacher who has a tonne of industry experience. The live-in program also have me valuable time and space to learn without distraction. Would recommend it, highly! With several years of experience in website and app development, Dream Cyber Infoway is here to make your business website attractive. We have team of 20 skilled, committed and professional coders serving the USA, Europe and Middle East. We are specialized in mobile app development, custom CRM softwares and website like: e-commerce, real estate, law etc. Browse website for further details. 9 weeks ago I left my job and the UK and headed to Finland to attend this course to learn full stack web development. Upon arriving at the airport I was greeted by Torsten and Raisa and they made me feel instantly welcome. We travelled to the house in Fiskars and I started exploring the small, peaceful village before returning to the house for some much needed rest in anticipation of the first day of lessons. Torsten is an excellent teacher, he is patient, knowledgeable and has clearly put time and effort into making sure the course is taught in a way that will be most beneficial for his students. By week 2 we were building an app with rails and as the days went by it was clear how much we had all learnt in such a short time. The course was intense but by the end I was very pleased with the progress I had made and I am confident I will find work as a web developer. Torsten didn't just teach me to copy/memorise code but he taught me how to think and problem solve in a way that will help me with all my future endeavours. For the duration of the course I was living with the other sutdents in a house in Fiskars, there's a shop nearby and the surrounding nature is beautiful. We worked for 6 days a week, 9 to 6 every day with a relaxed and pragmatic approach to breaks. Raisa would cook a vegan lunch for us, I had never eaten a vegan meal before arriving here and it was always excellent! Torsten and Raisa put in a lot of effort to make me feel welcome and I can't thank them enough for making this experience as good as it was. I have learnt so much about coding in 9 weeks that I would highly recommend this course to anyone looking to become a developer. It all started with Rails Girls Tampere in May 2016. WebDev.camp had a presentation there about the opportunity to become a web developer in just 8 weeks, living in the beautiful Finnish countryside where participants can focus on studying and learning how to code. Although I had worked as a software test engineer for almost 15 years, I had never done any coding. I have always been a tech savvy person, but I have never been good with mathematics and I thought programming and math go hand in hand. I never thought I could code, and being 100% honest, I was always afraid to try it in order to save myself from the disappointment of failure. Then I heard about Rails Girls. When I participated in the Rails Girls event, I was able to try for a day what would it be to be able to read a line of code. It was there that I understood... maybe I could do coding after all! I applied to participate in the Webdev.camp more in hope of being accepted than in expectation. So when I got accepted to Webdev.camp I was both excited and scared, and I wasn’t sure if I could do it because it would be a real test - not just of my skills, but also of my character; but I knew that IF I could make it through the course then I could become a developer. The commitment to the camp was going to be complete; it meant that I had to leave everything for 8 weeks, including my husband and kids and my “everyday life” – work, colleagues,hobbies. Before I embarked on the course 8 weeks ago, I had no idea how to build an application and no idea about object oriented programming, whilst coding was a magical and mysterious thing done by other people. During the first two weeks at the Webdev.camp, we had intensive theory lessons where we learned about such things as attributes, objects, models, Active Record and MVC's. After two weeks we started on our first real application in Ruby,and put all of that theory work into practice. We were handling associations and validations, sketched mock-ups, drew diagrams of associations and worked with database structures and the github API. We implemented functions with Haml and Sass, Bootstrap and Susy front-end frameworks and worked on back-end with data structures and associations as well as learning the importance of Test Driven Development (TDD) implementing Rspec, factory girl and capybara testing tools. Though the work was challenging, demanding and intense, it was also amazingly satisfying and hugely enjoyable, and I got a great sense of achievement in what I was doing. After 5 weeks of actual coding we had a working beta version of our application, and gave an introduction about our application as a presentation to ruby developers at the Helsinki Ruby meetup, demonstrating our skills and talking about our experiences. The whole experience of Webdev.camp has been an intensive and empowering learning journey for me, and not just with regard to my new skills. Yes, I now think of myself as a developer, and the dream is a reality because I now know I CAN code, but more than that, I have proved to myself that if I apply my mind to something, and work hard, I can achieve my dreams. Coding is still a magical thing but it is no longer mysterious to me. I am looking forward to the rest of my life as a developer, as well as the increased self confidence that the whole experience has given me. Living on site gives you the opportunity to really focus on your personal development and learning, without the problems of everyday life interfering or distracting you. I think that is one of the reasons that this course accomplishes so much in 8 weeks. We also had the opportunity to go to several meetups and events, and get to know the Helsinki Ruby community. In our penultimate week we gave a presentation on our app to a Ruby meetup, which was an excellent learning opportunity, and this experience will be extremely valuable going forward in our future jobs. I would definitely recommend Web Dev Camp, I doubt that any other bootcamp offers such a complete learning experience for the cost of the course which is extremely competitive. The learning environment is comfortable and beautiful and while the curriculum is intensive, living onsite means that you can fit so much more into your day without a commute or the usual distractions of daily life. Breaks and working at your own pace were really encouraged and I found that being able to take beautiful walks in the surrounding area as well as playing in the snow(!) provided an excellent way to unwind. My story with programming started this year when I finished an on-line course of foreign language. Because is hard to learn by yourself I used an application for more help. I was amazed how a team of programmers, scientists and coaches can create an application with such great results. Somewhere on this road I discovered that programming had become such a magical skill, and up until some moment in time, I never considered it, because my “not-object-oriented-mind” had been so unfair to it. After seeing how beautiful and useful so many apps are, I thought, “Who are the people who build these things?” And then I decided to improve myself and just do it. I found out about WebDev Camp on Course Report, after looking through Twitter and finding out about their scholarship opportunities. I thought it was interesting because it is in the midst of nature, and if you’re feeling stuck, you can just go for a walk and come back to coding feeling refreshed. Here I discovered that school can be extremely fun, that you can sketch an app at the seaside on a rock and that you can be more inspired looking at skyline than at your computer’s screen. Here the forest is our backyard and I can organize my thoughts on my ruby classes by walking and thinking, or by staying in on the evening, reclining near the fire. I would say that this program teaches you not only about coding, but how to interact with people who might be different from yourself, since you will be living with them for several weeks. This can sometimes be difficult, but it teaches you how to work with and get along people in a group. Our teacher, Torsten, is like a guide, not just for our rails coding but for all the moments when we panic or struggle. He’s always present to help out in our small community. What else is there to say? Web Dev Camp is a wonderful, life changing experience that I’m glad I did! Teaching: WebDev Camp is obviously very different from university teaching methods. Firstly, we worked straight away on a 'real' solution. There was no 'faffing about'. Secondly, the feedback loop is much quicker as Torsten is always present to answer question when we are too stuck. At the same time, there is enough room to think for yourself and learn by yourself - which is a good skill to have. You also get to develop a lot of your people skills as you work and live together throughout the duration of the course. Setting: the camp is in the middle of the woods, with many lakes near by. It is absolutely magical. The camp's large garden is also something out of a fairytale. It even has a little waterfall. Webdev Camp is probably the most relaxing, albeit intensive bootcamp of web development. You get to destress in the traditional Finnish sauna in the evening or go for a short hike during the breaks. Last but not least you will be near the picturesque village of Fiskars. I heard about WebDev Bootcamp through Facebook and thought that it was an intriguing opportunity. The camp is located in the pleasant countryside of Finland, presenting me with the ability to experience something different, that would provide me with an experience that could set me apart from others and allow me to expand my horizons. I was able to speak to Torsten Ruger, who runs the camp. He proved to be a very charming fellow and very knowledgeable about the subject manner. He had been a coder for over 20 years professionally, and really impressed me with his passion for coding and his desire to help people develop into their best selves. 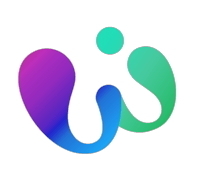 WebDev is a program premised on the combination of nature and innovation. Student code in the Finnish countryside, a coding retreat that allows students an immersive environment in which the singular focus can be on the coding and your personal development. Some of the bootcamps I researched were run like mills that had little regard for the students’ personal development. There is something beautiful and unique about what is being done at WebDev. I am excited to be part of something that is good full of good energy and that offers something so valuable at a reasonable rate. But what sets WebDev apart is the sense of community, that it is something that is being built together from the ground up. That is where true innovation comes from. Web Dev Camp has an acceptance rate of 13%, of which 80% of accepted students enroll in a course. Of the students who enroll at Web Dev Camp, 100% graduate. 100% are hired in technical roles within 120 days and report an average income of n/a. 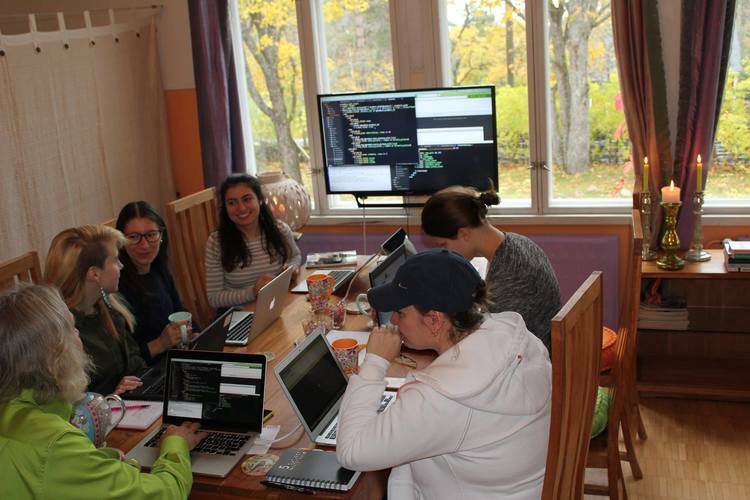 After a career in software development and an inspiring visit to San Francisco coding bootcamps, Torsten Ruger and his wife Raisa converted their bed and breakfast into a live-in coding bootcamp in the Finnish countryside. Web Dev Camp is now teaching their first cohort of future Rails developers in Finland, and aims to create a destination-bootcamp for students around the world. We spoke to Torsten about why he chose to teach Ruby, how students absorb knowledge easily at a live-in bootcamp, and how invigorating it is to study surrounded by untouched nature. 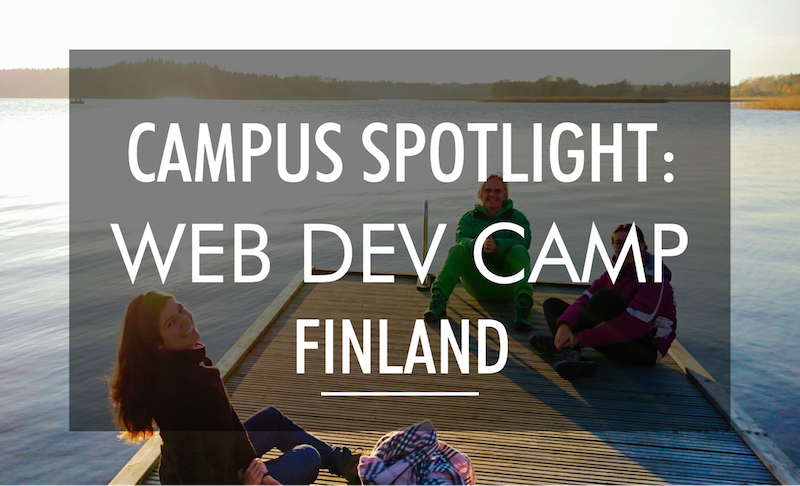 Read more about Web Dev Camp's unique setting- and of course, a Finnish coding bootcamp wouldn’t be complete without a sauna! What’s your background and why did you start a coding bootcamp? I’ve been coding for 35 years and building web applications for 20 years or so. I found Ruby 15 years ago, and the language put the joy of coding back into my professional life. Ruby made the job that I was doing really enjoyable, easy, and fun. I had been tutoring for Rails Girls over the last few years, and in Spring 2016 my partner Raisa Kaipainen and I visited a few coding bootcamps in San Francisco. We didn’t have a plan in mind, but after attending those meetups and meeting an instructor from Dev Bootcamp, the spark was ignited. I had been searching for an opportunity to teach, and we converted an old village school house (which we were operating as a bed and breakfast) into a live-in bootcamp. What do you like about the coding bootcamp model? It is so very different from traditional teaching, because we teach in small, immersive groups. What I dislike about traditional teaching, is this distance between the teacher and student, which inhibits actual transfer of knowledge. I studied physics and minored in computer science, and there is a lot of unnecessary bulk in those degrees. You don’t really learn the practice; you learn a lot of theory, and then you have to learn the “doing” on your own. When did the first Web Dev Camp cohort start and how is it going so far? Our first course started at the end of September, and students will graduate in mid-November. Then we’ll have a Christmas break, and in 2017 we’ll start the normal rolling system with courses every month starting from January 16th. So we’ll have two courses at the same time, overlapping, with eight students per group. The first cohort of students are enjoying the class, and I'm really enjoying it! We are making progress that I didn’t think was possible. We’re building a real application and the students are really happy about that. After two introductory weeks, we are now basically working like a development team, where I’m spending more time helping than teaching. They’ve picked up the material quite quickly; I’ve been very impressed. What tracks or languages are you teaching at the campus? Why did you choose those? Are they particularly useful in Finland and Helsinki? 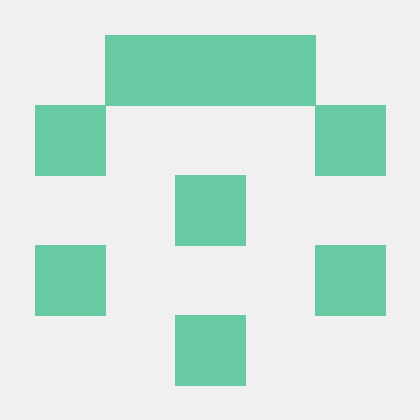 I think Ruby is the best object oriented language for beginners. It’s easy to understand, and along with Rails, it’s the best tool for the web. There are discussions about other better tools to build high volume production sites, but to learn the concepts involved in any web application, I think it’s the best tool, and best language. It’s a good entry level language, it teaches a broad skill set and gives students a good chance to get a job. What is the tech scene like in Finland? In the Ruby world in Finland, there are a couple of larger consultancies, and a dozen smaller startups using it. Because our students live here for eight weeks, Web Dev Camp is really open to anyone, even people from America could attend. There is no extra cost- just one flight, and accommodation and food is included. Will most of your students look for jobs in Helsinki? What types of companies are hiring developers in Finland? It’s an international market, I don’t think the majority of our students will be Finnish; I think we will teach more English, German, Italian, French, American. And they will want to look for jobs outside of Finland. Nowadays in Europe the younger generation are quite flexible about where they live, especially after graduation, so we’ll definitely help them find jobs wherever we can in Europe. The Ruby community is quite small and relatively tight knit, so we know a fair number of people, and they are definitely approachable. Raisa and I have been going to Ruby conferences for many years and have built our network here. What kind of career support or advice will you give to students? Throughout the course, students have questions about careers, so we talk regularly about career advice. But towards the end of the course, we will have more dedicated help, like how to write resumes, how to approach companies, and how to find the right company. And in the future, we hope to find partner companies who agree to hire our graduates. Why did you decide on eight weeks for the program? We looked at the lengths of other coding bootcamps, wrote out our curriculum, then worked out how long it would take to teach. We decided on eight weeks because of the intensity at Web Dev Camp, and because it’s a live-in bootcamp, students absorb knowledge more easily here. We determined that in eight weeks, students will reach our goal of being able to land a Junior Developer job, or join a team without needing a separate mentor. Do students need to have any programming knowledge before they start Web Dev Camp? A little bit. Somehow people need to know that this career is for them. The biggest factor for success at Web Dev Camp is actually motivation instead of skill, which a difficult attribute to test for. We find that the easiest way to see if someone is motivated, is to ask if they have sat down on their own and tried out coding already, and know for certain that they like it and want to code full-time. What kind of time commitment do you expect students to put in? We’re teaching six days a week, and it’s about 7 hours of learning a day (including the breaks it’s almost 10 hours a day). We start at 9am, then we have two 90-minute sessions in the morning, a lunch break, then three one-hour sessions in the afternoon, then an hour of self-study in the evening. And some students actually do more study than that. How many instructors and/or mentors do you have? We have one instructor per group of eight students. At the moment we only have one group, so I am the instructor. And in future I’ll still be teaching, and then we’ll have one tutor per group. For the bootcamp, we are looking at two groups of 8 maximum, so 16 people, so that it’s not too crowded. 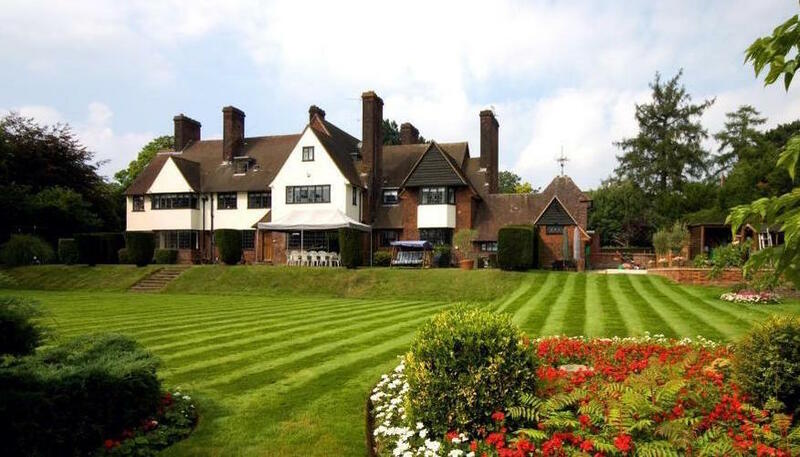 And we have off-site accommodation for teachers. Your location is about an hour outside of Helsinki. Why do you think it’s a great place for a coding bootcamp? Yes, it’s an hour’s drive. But being in nature gives our students recuperation, decent breaks, and less distraction. When you go out for a break, you come back refreshed. That experience is what we wanted to share here. 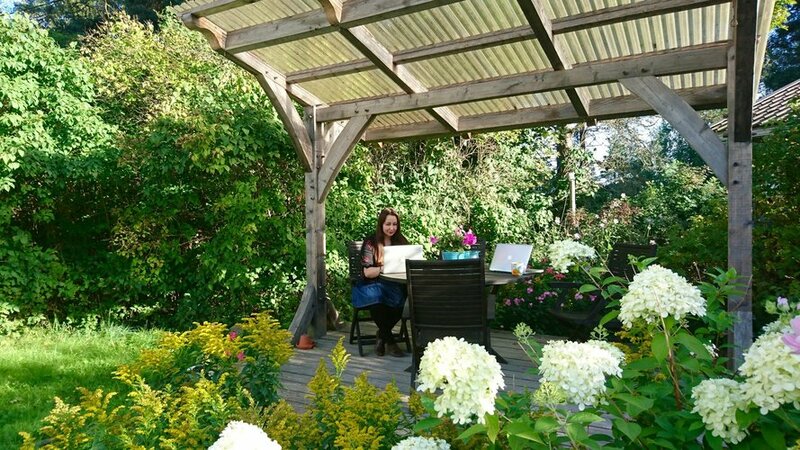 I used to work in an office before, but I’ve found working in this type of environment, where one can have a good break, go out, get fresh air, see trees and sky and come back and be actually refreshed, makes the work much more productive. You come back from lunch break and it’s as if the morning never happened, in terms of your concentration and ability to take things in. It also makes the learning more productive, so our students are all enjoying it. What other options are there for people to learn to code in southern Finland? In Finland, the idea of a “bootcamp” is not very well-understood, because universities are free, so people have a tough time paying for education. But they still have living costs for four years while getting your degree, even if the actual university is for free. So choosing a more condensed program still saves you a lot of money. And once you graduate from a coding bootcamp and get a job, you start earning straight away. Give us an idea of the campus – how large is it and what can students expect? Because the campus used to be a bed and breakfast, the bedrooms are nicely decorated. The rooms are shared with two or three students per room, and are quite spacious, mostly with their own shower and toilet. The house used to be the village school, and we use the old classroom (70 sqm) as our workroom, which we have decorated with beanbags, tables and monitors to be a very relaxed working environment. I teach lessons with an iPad and a monitor, not with a whiteboard. I draw on the iPad with a 55-inch monitor. For work we have lots of monitors to share for different size tables, different size monitors. 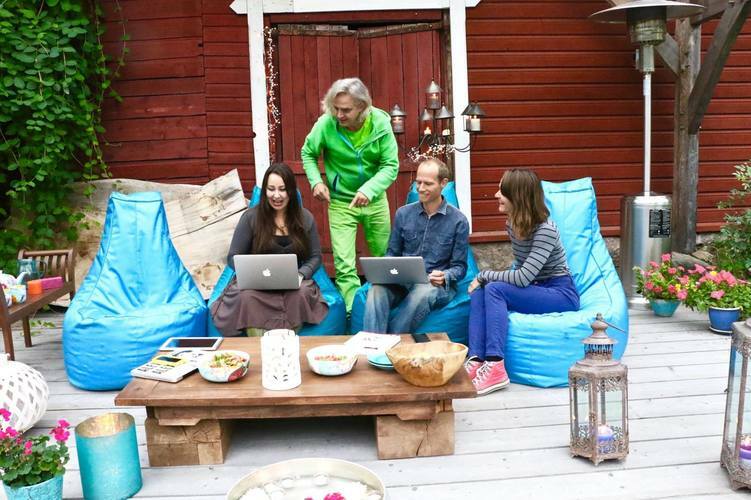 We have bean bags for people to sit on, so it’s all very cosy. Since this is Finland, we also have a lovely sauna and a little pool to dip into after the sauna; it’s very nice. Also we have a lovely garden, with several terraces to work at. Since Web Dev Camp is a live-in bootcamp, how do students take breaks? Are they able to get away from the classroom? We are in the countryside so there are a couple of farms with horses, and a lot of forest where one can walk, and three lakes within walking distance where you can swim in summer. We have a rowing boat, eight bicycles, and cars. In the winter, there is cross-country skiing really close to us. We are used to the cold so when it gets cold we just put on more clothes, and life continues. It’s very beautiful because we have so much nature and untouched snow everywhere. The lakes freeze over so you can walk or ski on the lakes. Close by is a famous artist village, Fiskars, which has nice restaurants and cafes, so civilization and a cappuccino is is only five minutes away. Are all meals included? What sort of food do you have? Yes it’s all included. We have very healthy and delicious vegetarian and vegan food. Raisa is an experienced cook, and she makes a warm lunch for the students. Then there is a fridge and kitchenette with ingredients for the students to make morning and evening meals themselves. We also have an outside kitchen and grill. A coding bootcamp can propel your career in tech to new heights, but that often means quitting a job, uprooting your life, or moving to a new city. Maybe you’re moving to a new city to become a developer and need a short-term housing option. Or perhaps you’re an international student without credit history. Regardless of your background, funds can become tight when committing to a full-time, intensive bootcamp, and suddenly expenses like rent and food can be stressful. Luckily, there are coding bootcamps that make housing easy. An email with these details has been sent to Web Dev Camp. You've already applied to this scholarship with Web Dev Camp.